Arizona has had its share of political embarrassments. If you've lived in Arizona for a long time, you know that. I moved to Phoenix when I was a teenager and then lived for a few years in Los Angeles, where you can get a good perspective of the embarrassment of Arizona politics. But nothing seems to have embarrassed Arizona, and Phoenix in particular, as much as the fact that during the Civil War, Arizona was a Confederate territory. That is, pro-slavery. 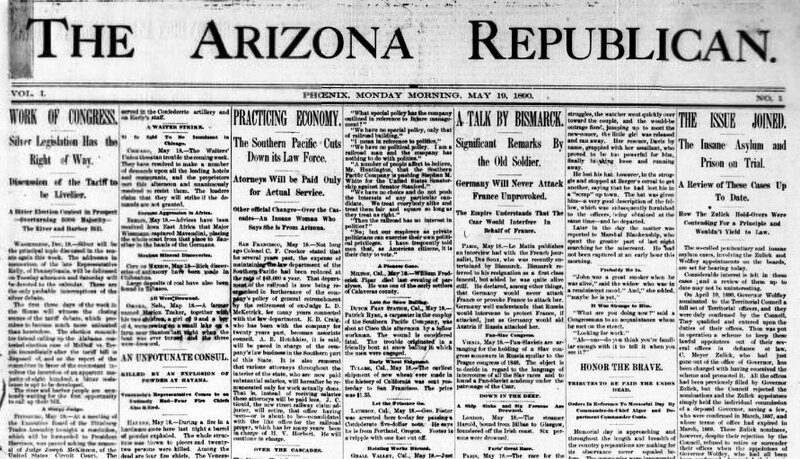 And after the end of the Civil War, and the restoration of the Union, Phoenix was anxious to show that it looked to the future, and that embraced the Union. And that meant being Republican. To understand this better, you have to realize that during the Civil War, it was the party of Abraham Lincoln that sought to keep the Republic united, the Republicans. To the states that disagreed, and preferred a more Democratic government, that is, states rights, this meant war. When the Civil War ended the Republic was united again, and the states that had fought against it had lost. 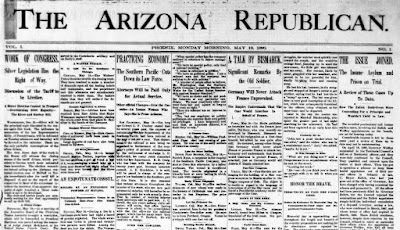 The two competing newspapers when Phoenix was young were the Arizona Republican (yes, there was an “n” then) and the Phoenix Gazette (which was Democratic). And over the next 100+ years, the Republicans won in Arizona. 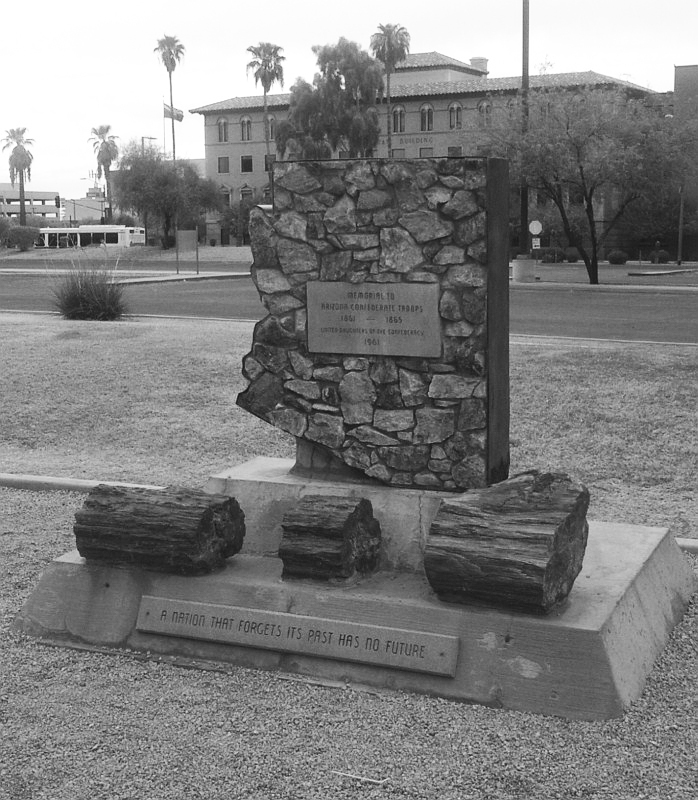 So much so that Arizona's history as Confederate, and Democratic, has been virtually erased. When Barry Goldwater ran for President in 1964, it was as an Arizona Republican. He was in favor of strong central government, which had badly soured in the minds of many Americans, especially because of the War in Vietnam, the Cold War, and the atomic bomb. Image at the top of this post: The Confederate Memorial at Wesley Bolin Plaza, 16th Avenue and Washington. A Nation That Forgets Its Past Has No Future.